Mean Machine make five changes as they prepare to host Blak Blad on matchday 14 of the 2018/19 Kenya Cup at UoN on Sat March 23 from 4pm. Props Benson Mwangi and Alex Muganda, who started from the bench in the 10-7 defeat to Nondies, are recalled to the starting line-up by head coach Remy Matekwa with Ian Wando and Adam Mugo dropping to the bench. Scrum-half Marvin Karungi comes in for Antony Obonyo (bench) to pair fly-half Bruce Odhiambo with Trevor Asina continuing at flank while Valentine Odoyo is at fullback. Winger James Kang’ethe replaces Charles Kinyanjui who is unavailable. Blak Blad go into the match at the back of a 69-0 defeat to leaders Kabras Sugar which dealt them a huge blow in their bid to survive relegation. Byron Ogada and Dennis Mutethia continue as half-backs while Klein Ongaki and Archadias Khwesa are on the wings for the Kenyatta University side. Captain Ian Obukwa, Dennis Opiyo and Wesley Kamadi complete the backrow. Ajelity Lionel will hope to make an impact from the bench. 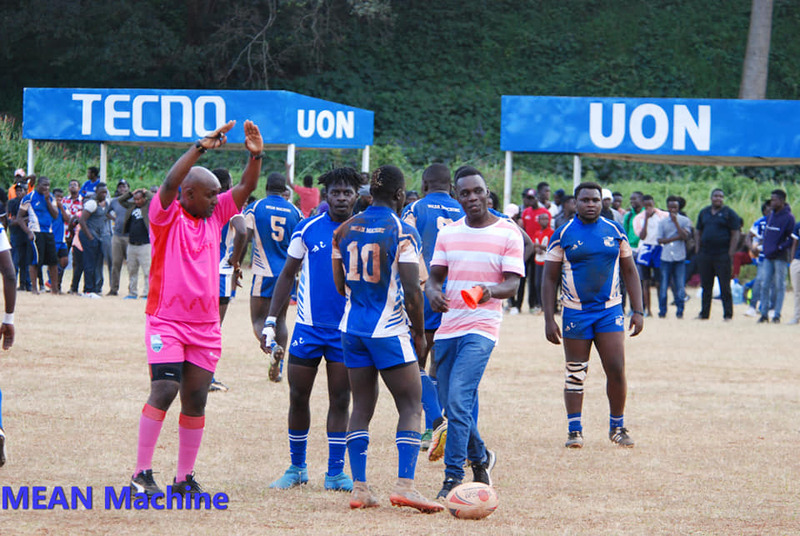 Machine were disappointed to lose 32-19 to Blak Blad at KU but Saturday’s clash is a must-win for the UoN side. Sitting bottom with only seven points, Machine must go for the maximum five points to stand any chance of surviving relegation going to the last two rounds.